CMMG's Mk3 is the perfect 308 WIN upper for the tree stand or target range. Equipped with the new RKM15 KeyMod free floating hand guard, it’s ready to except a number of sling mounts, bi-pods and other KeyMod compatible accessories. The Mk3 features a bead blasted matte finish, 416 stainless steel, 18”, heavy profile barrel for superb accuracy. 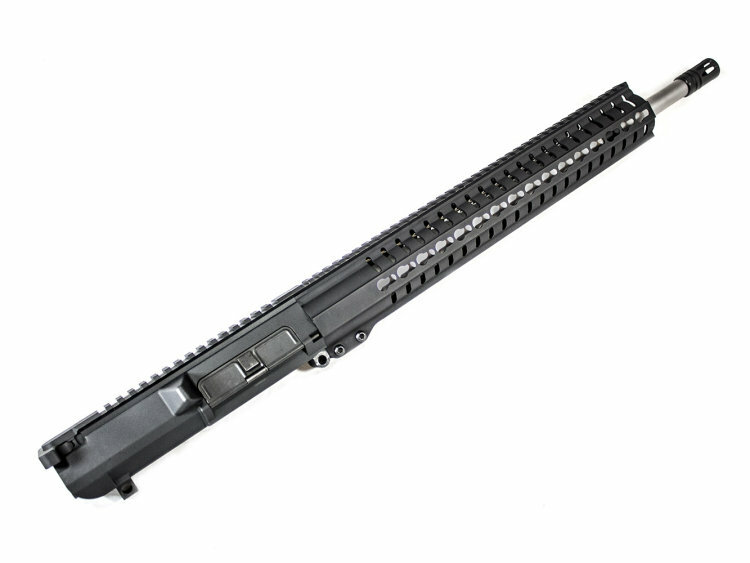 Each upper includes CMMG's lifetime quality guarantee.